Photographed beside Turkey Creek trail in late afternoon. Raised forelegs in response to moving tip of hiking pole to within several inches. Guess it to be sp. 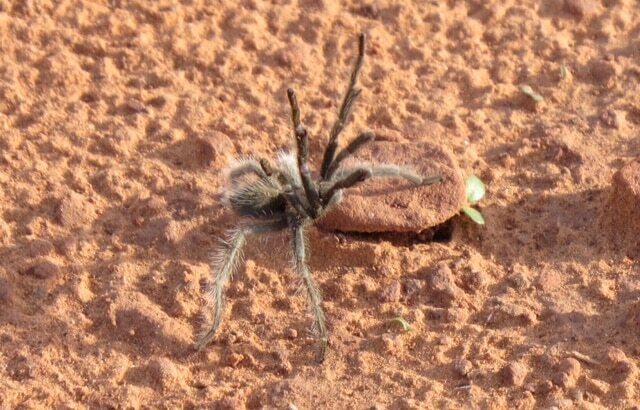 of Wolf spider, but it looks too hairy and was not reclusive.